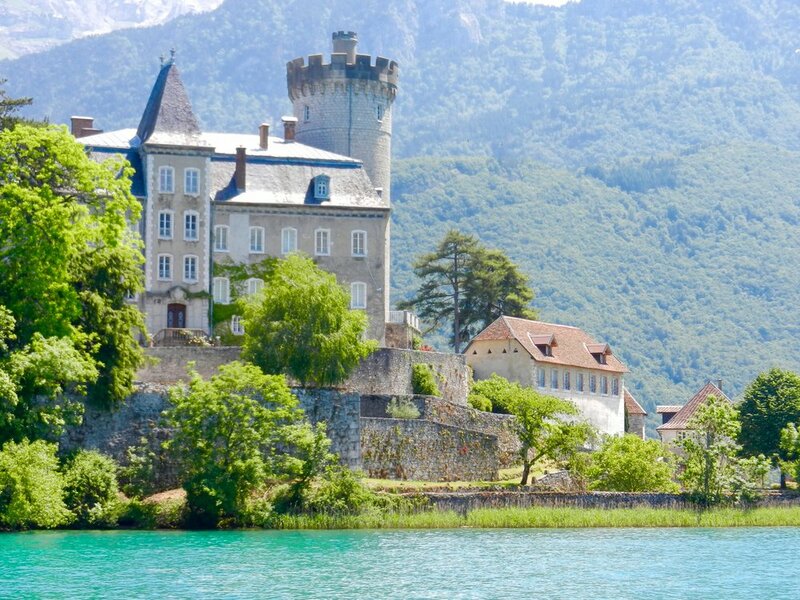 If you tire of the mechanical efficiency of the well-worked Swiss clock that is Geneva, Annecy provides a quintessential day or weekend trip from the city. 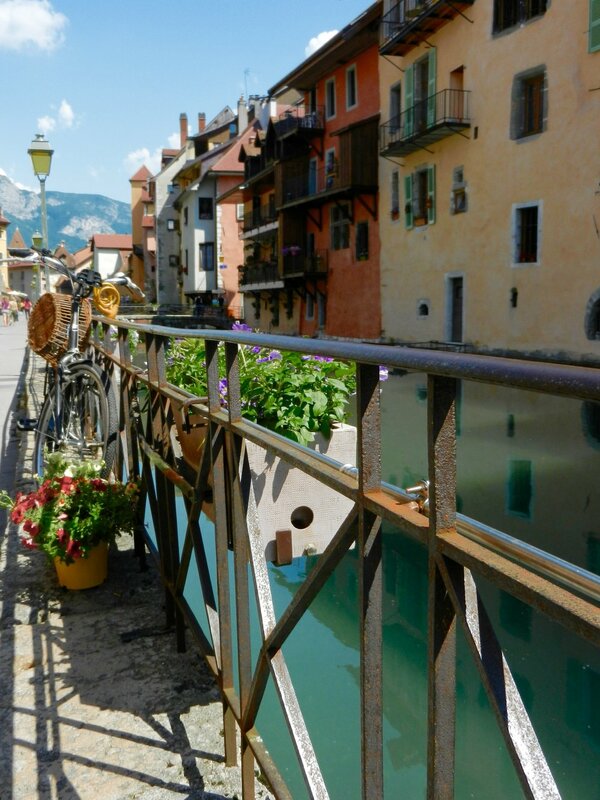 Annecy is known as the “Venice of the Alps,” and while I consider that to be a bit of a stretch, it is still well-worth the journey. 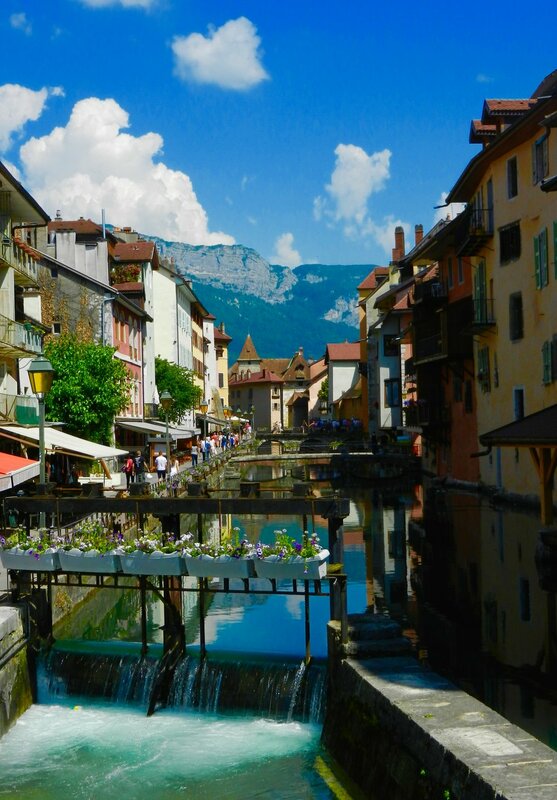 Annecy (which I’ve heard pronounced both “Ann-eh-see” and “Ansy”) is surprisingly easy to get to – depending on if you get the direct or indirect bus it’s only 45 to 1 1/2 hours from the bus station (Gare Routierre) in Geneva. Quick reminder: Annecy is in France. France uses Euros, NOT francs. Plan accordingly. You’re advised to bring your passport just in case, but they don’t often check as you cross the border. I highly recommend hoping on a tourist boat – we got a one hour tour of the lake and its surrounding towns and castles (yes, castles as in plural) for 14.50 euros, and it was a blast. One highlight was a drool-worthy view of Château de Menthon. Alternatively, if it’s a hot day definitely pack a swim suit and plan to rent a paddle boat or go for a dip. Or, just spend a couple hours staring at how. incredibly. blue. the water is. 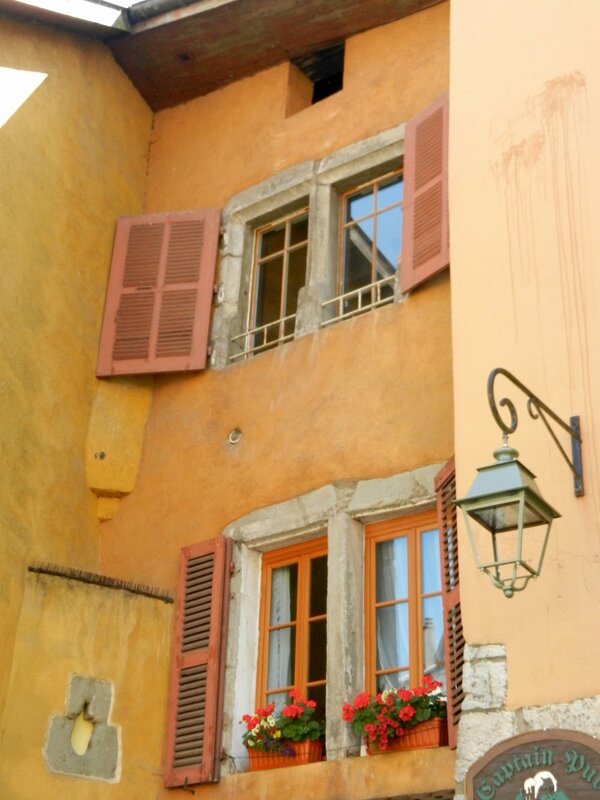 As tempting as it is to spend the whole day by the lake, you need to explore old town. 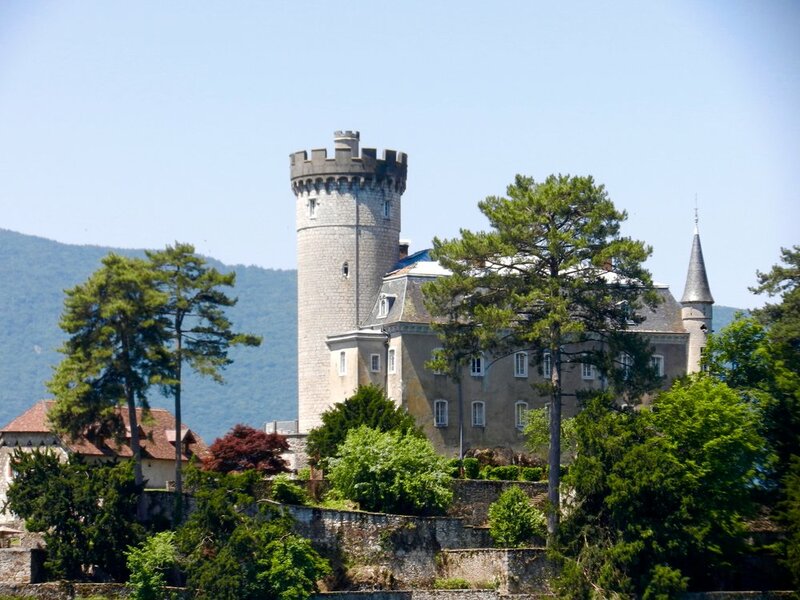 Follow the tip of Lake Annecy to its source at the river Thiou and you’ll find canals lined with ancient-looking homes and charming bridges, sure to have you daydreaming of all the fairy tales you’ve read as a kid. Plus there’s a castle overlooking it all. 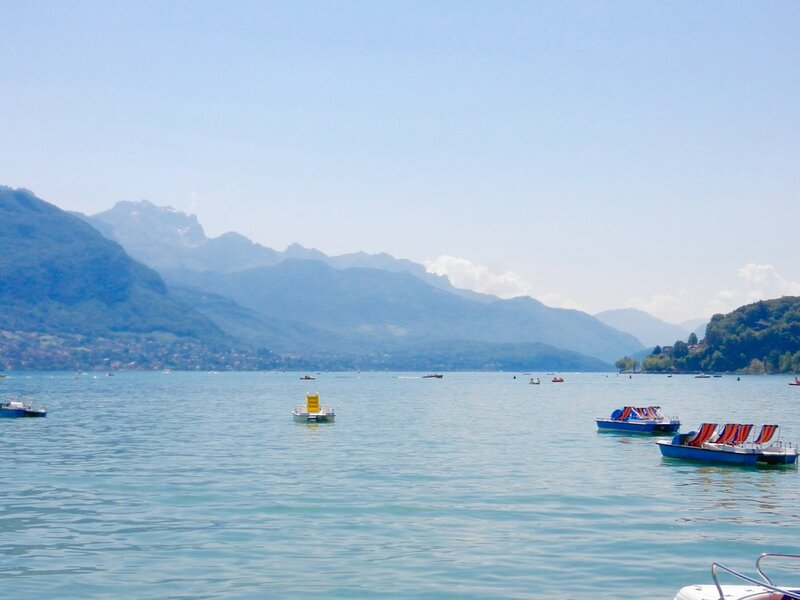 Be forewarned - on a nice summer day, you will not be the only person with the grand idea to visit Annecy, and peak crowds in this tiny town can rival the biggest tourist attractions. To avoid some of the crowd, try to arrive early in the day to explore the old town canal area before too many folks show up (and try to snag that coveted Palais de l'Île selfie without an extended Norwegian family in the background). For lunch, avoid the restaurants along the main canal - while plenty yummy, you’re guaranteed to pay tourist prices at this spots (though, these are still comparatively cheap coming from Geneva!). 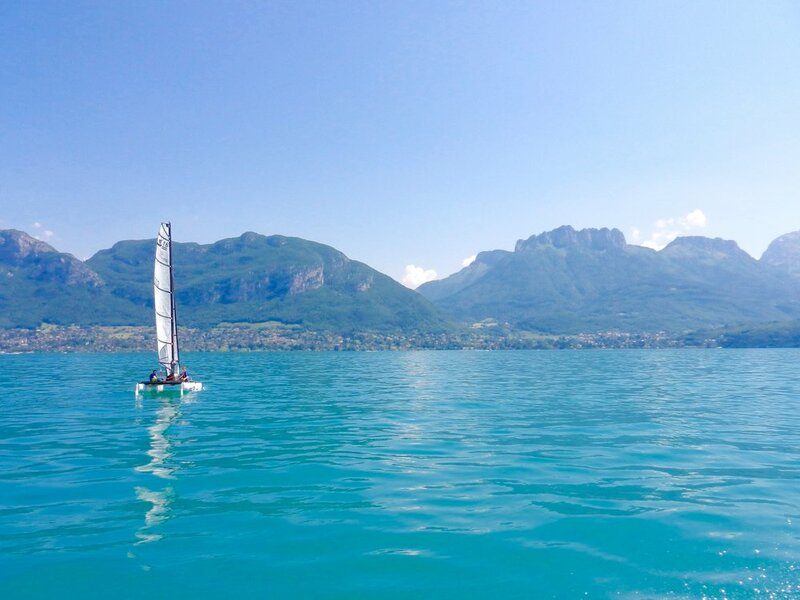 For additional food and lodging recommendations, I recommend this review from Vogue Exploring Annecy, the Venice of the North or this guide from Vine Pair: Your 24-Hour Guide to the Pearl of the Alps.